The most successful hair and beauty salons are those with a large and loyal customer base made up of repeat customers who return to purchase products and services again and again, and who for the most part, wouldn’t choose to go anywhere else. Yet aside from discuss holidays and make sure your service is of high quality, how do you incentivise them to return? If you don’t have a full loyalty strategy, it’s time to implement one: you’ll soon see, and reap, the benefits! Advertising and marketing is critical to the success of any business, but offering discounts or special offers to new customers can be frustrating for those who already spend money with you if they’re not entitled to the same thing. The most common example of this in recent years is mobile phone companies, who for a long time gave away freebies and monetary incentives to new customers, but kept existing customers locked into lengthy and expensive contracts without any ‘bonuses’. Following the rise of the internet and the ease of switching providers, mobile phone companies have now had to resort to offering fantastic deals to their existing customers as well as to new ones. In the hair and beauty industry, customer loyalty can be gained much more easily. Whilst you no doubt see numerous new clients in a day, 2 out of 5 of these will be ‘one-off’ customers and won’t return. Studies into customer behaviour has shown that a loyal repeat customer is worth seven times the value of a new one, as they continue to make purchases and as their positive experiences and engagements with you grow, those purchases have a habit to increase in value. 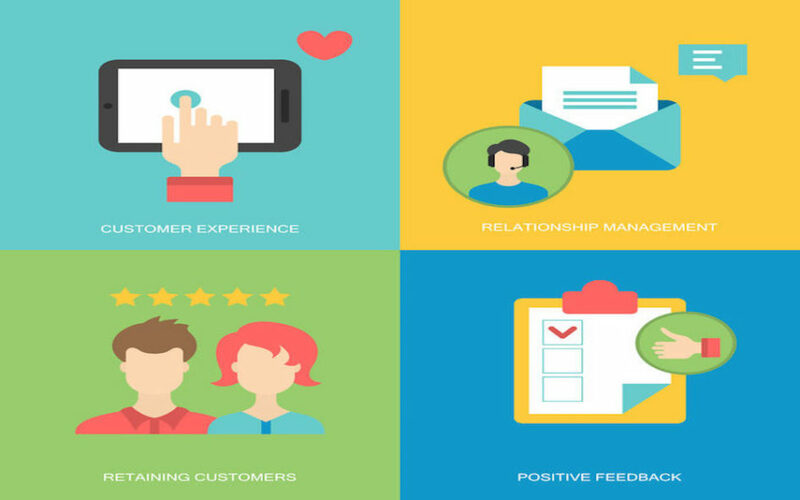 Loyal customers are also more likely to recommend you to others and to share their positive experiences online – a crucial success factor in this day and age. It’s not only more expensive to recruit new customers (in adverts, commission and time) to your business, but it’s more difficult to keep them and demonstrate a return on that initial investment. 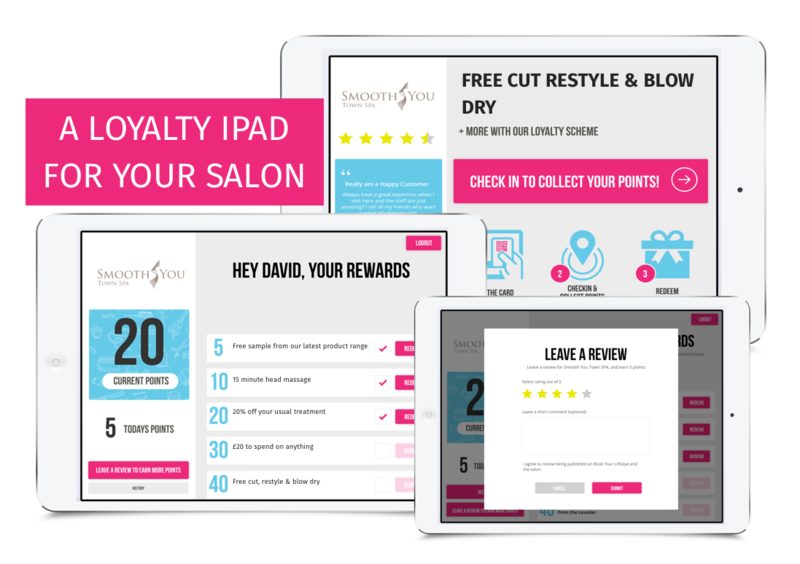 Loyalty can be encouraged and nurtured, and the Book Your Lifestyle loyalty and marketing platform does exactly this whilst gamifying the salon experience. Allowing you to receive online bookings with 0% commission, an iPad on your reception desk welcomes back your repeat customers and shows them personalised data and rewards; making them feel appreciated for their custom and encouraging them to return. It amalgamates all of the customer data received and gives you the facility to send out email and SMS marketing with no hassle – something that most of us just simply wouldn’t have the time to do normally! The customer data collected also gives you intelligence on your customer base, giving you a competitive advantage over others in the industry and allowing you to adapt your products and services to best suit your customers. If you’re to encourage repeat custom and build up a loyal, happy following of clients who continue to visit you and spend money, you need to put them at the heart of everything you do; and this is the most effective and easiest way to do it. Contact our marketing team for more information.